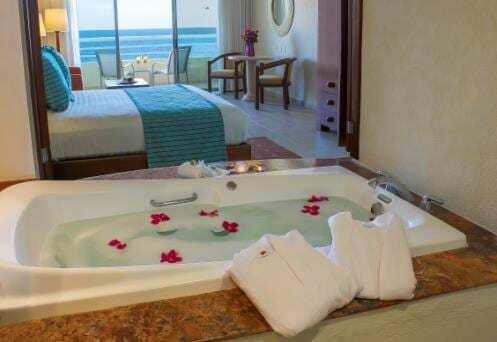 Barceló Gran Faro Los Cabos* hotel is located on the seafront of the stunning Sea of Cortés. This all inclusive resort is designed for enjoying the tranquility of the exclusive Los Cabos, the chosen destination of many famous Hollywood stars. Scarcely 1.5 miles away, you can find San José Los Cabos, a colonial town well-known for its cultural ambience and culinary delights. The hotel boasts 350 luxurious rooms and suites distributed over 3 buildings: Luna, Estrella and Torre Sol. All the rooms have a private balcony with views of the Sea of Cortés and are fully equipped with first class comforts to make your stay a pleasurable and memorable experience. The spacious, bright Superior rooms measure 495 ft² and feature a cheerful interior design and a welcoming terrace with views over the stunning gardens. 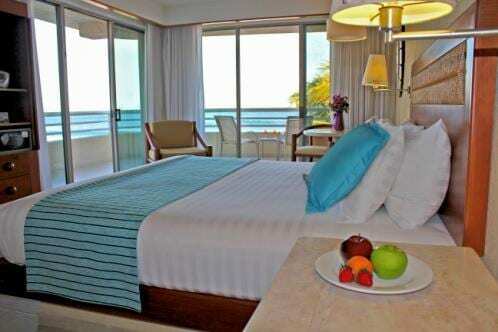 They are a perfect space for couples or families who want to enjoy a comfortable stay at the beach. These rooms feature a wide range of quality conveniences and facilities to fill your stay with pleasant sensations. The Premium Level Superior Sea View rooms measure 603 ft² and are located in the Torre Sol building. These are the most popular rooms in the hotel and offer more space to relax. They feature a private terrace with direct, open views of the sea. Guests who choose this type of room will receive all the additional benefits offered by Premium Level such as: full minibar, luxury toiletries, a distinctive VIP wristband, 24-hour room service, free Wi-Fi connection, a 15% discount on spa services, unlimited à la carte meals, and much more. Premium Level Features**: In addition to the All Inclusive elements, our Premium Level guests will be able to enhance their stay through the following:  Upper category suites enjoying the best views of the Sea of Cortes  Personalized check-in and check-out in the Club Premium exclusive lounge area  Petite Fours and sparkling wine bottle in your room upon arrival  Club Premium Lounge with Premium Brand Beverages, hors ´d'oeuvres, personalized Concierge. Serving hours 7:00 am – 11:00 pm  Early Check - in – Late Check-out (Subject to availability)  Local Phone calls free of charge  Unlimited a la Carte dinning  Preferred seating in a la Carte restaurants  15% discount in Spa services  Express Laundry service at regular cost  Upgraded Deluxe bath amenities  Nightly turn down service  Pool Towels in the room  In room Bathrobes & Slippers  VIP distinctive bracelet  24 hours room service free of charge  WIFI Internet at no charge  Mini fridge stocked with a wide variety of water, sodas, beers, juices and snacks.